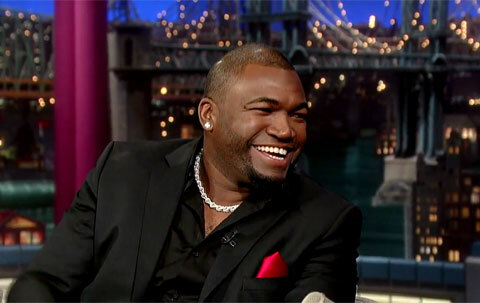 World Series MVP, David Ortiz, affectionately known as ‘Big Papi,’ visited the Late Show on Monday night, November 4, to talk with David Lettermen about the Boston Red Sox, the beard phenomenon, the first game after the Marathon bombings and the healing of the city. David Ortiz is a nine-time All-Star, a three-time World Series champion and the holder of the Red Sox single-season record for home runs with 54, set during the 2006 season. If you would like to book baseball speakers or MLB stars like David Ortiz for an appearance or endorsement, contact David Ortiz’s booking agent for speaker fees or call 800.966.1380.